Ligue 1 giants have unveiled their new Jordan kits. The club captain, Thiago Silva, Edison Cavani, Neymar were among those stars that modeled the kits. 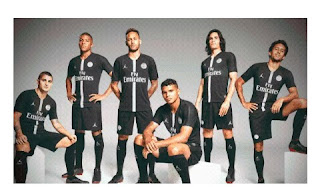 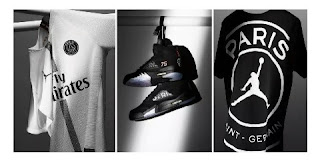 According to reports gathered, Paris Saint German are expected to launch the jersey during their UEFA champions league clash against Liverpool.